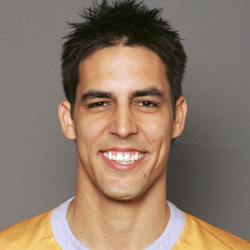 Mitchell Guy Johnson was born on Nov. 2, 1981 in Townsville, Queensland. He suffered a string of back stress fractures early in his career and drove a van for a living at one stage after losing his contract with Queensland. He made his one day international debut in 2005, going on to play 153 matches in the format culminating in Australia's triumph in the 2015 World Cup final, his final outing. Took 239 wickets at an average of 25.26. He made Test debut against Sri Lanka in Brisbane in November 2007, the first of 73 matches in the Baggy Green cap which netted him 313 wickets at an average of 28.40. He took 12 five wicket hauls and three times picked 10-wicket in a Test. A more than useful tail end batsman, Johnson scored 2,065 runs at an average of 22.20 with one century, an unbeaten 123 against South Africa at Cape Town in 2009. Second Test against New Zealand at WACA from Nov 13-17 was his last Test and as well as international match. He named International Cricket Council (ICC) Player of the Year, in 2009 and 2014. Fired Australia to a 5-0 Ashes sweep of England and a 2-1 series win in South Africa between August 2013 and September 2014, taking 59 Test wickets at an average of 15.23.